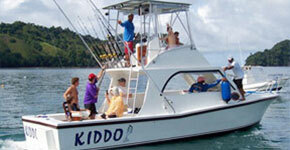 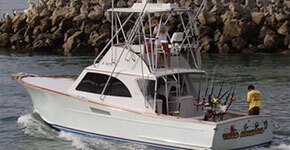 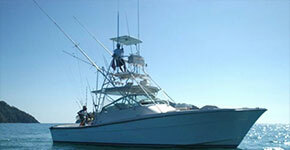 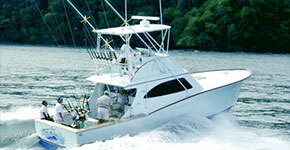 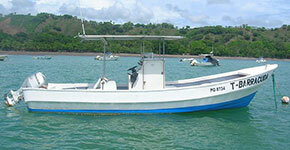 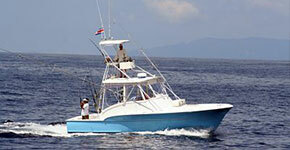 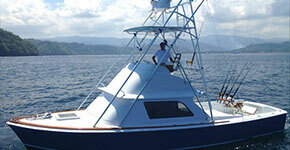 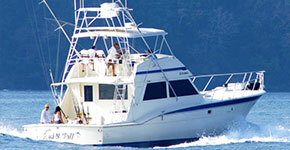 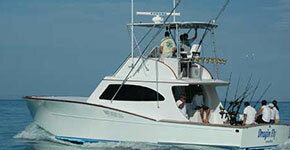 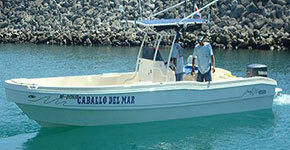 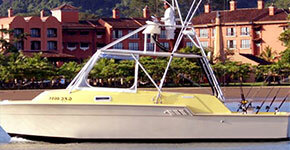 Departing from the Los Suenos Marina, you have your choice of sport fishing yachts. 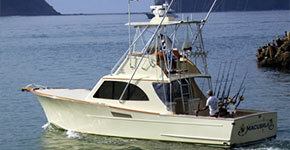 Get out on one of our great locally made Maverick Yachts or go with the Hatteras. 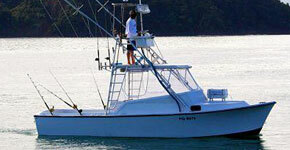 Stay inshore and fight some rooster fish, dorado, snapper and other species that will keep you busy and can wear out the best of us, or get out into the deep water and fight a monster marlin or sailfish. 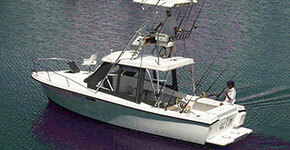 Both stripped and blue marlin are around and ready to give you a run for your money. 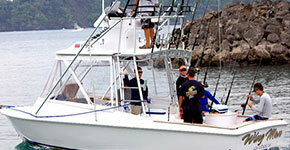 Hook-up a 150lb sailfish and watch your experienced captain and crew work the lines to ensure you have the best position and the boat stays with your fish.Full and half day trips are available and our professional sport fishing specialists can get you onto the best boat for your group. 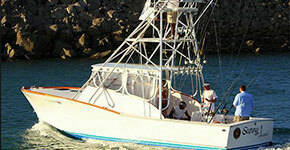 We have access to both public and private boats and offer small boats starting at 27′ and ranging to and above 80′. 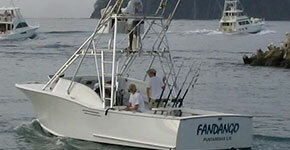 Whether you are a seasoned fisherman or just getting out for the first time, no matter if you want to get out on a small local style panga or full on luxury yacht, this is the place to do it. 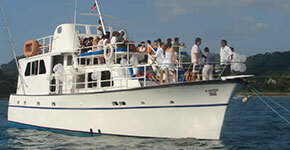 Full Galley. 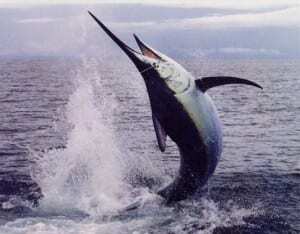 Head w Stand up Shower. 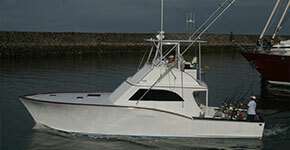 Full Electronics. 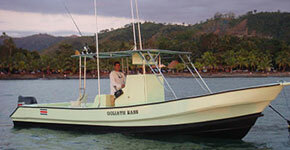 Colour finder, plotter, VHF. 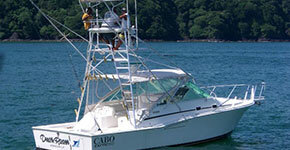 Air Conditioned Cabin Full Galley. 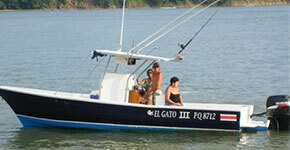 20kt Cruising Speed. 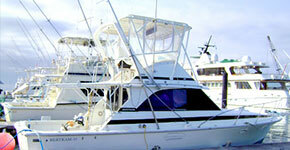 Twin diesel engines. 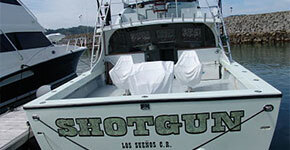 The Ultimate Fishing & Party Boat in one!